NO SAFE HAVEN Arriving at her secluded cabin to find her brother missing, Olivia Kendricks follows his trail into the woods--until two shooters take aim at her. She only escapes when ex-detective Zachary Long, her brother's friend--and Olivia's first love--comes to her rescue. Now as they run for their lives in the snowbound wilderness, they must search for her brother while figuring out why someone wants them dead. And though Zach's police force training may be what will save them, it's also what once drove them apart when he gave Olivia up to chase his dream. 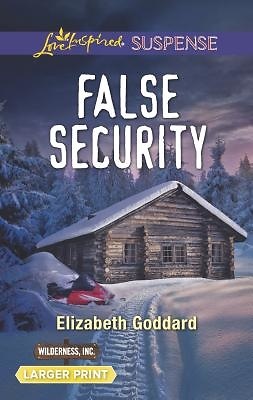 In a freezing landscape as deadly as it is beautiful, they'll have to let go of the past...and face down powerful men willing to kill to keep secrets buried.